We “Shyam Agencies” founded in the year 1997 are a renowned firm that is engaged in manufacturer, exporter and service provider a wide assortment of Wedding Mandap, Wedding Sofa, Stage Decoration Service etc. 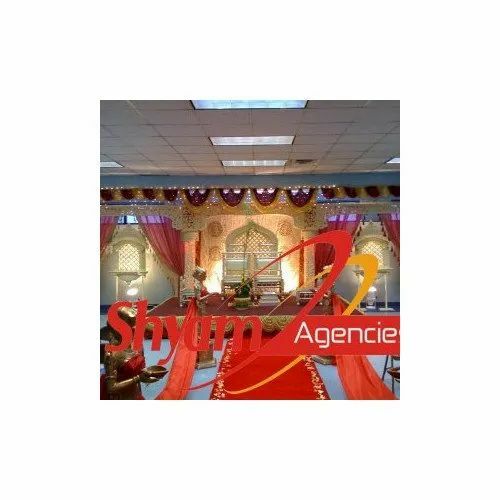 We “Shyam Agencies” founded in the year 1970 are a renowned firm that is engaged in manufacturer, exporter and service provider a wide assortment of Wedding Mandap, Wedding Backdrop Cloth, Wedding Chair, Wedding Sofa and Wedding Stage Backdrop. Apart from this, we also render Stage Decoration Service to our clients.